Osun by-election: Adeleke defects to PDP – Royal Times of Nigeria. 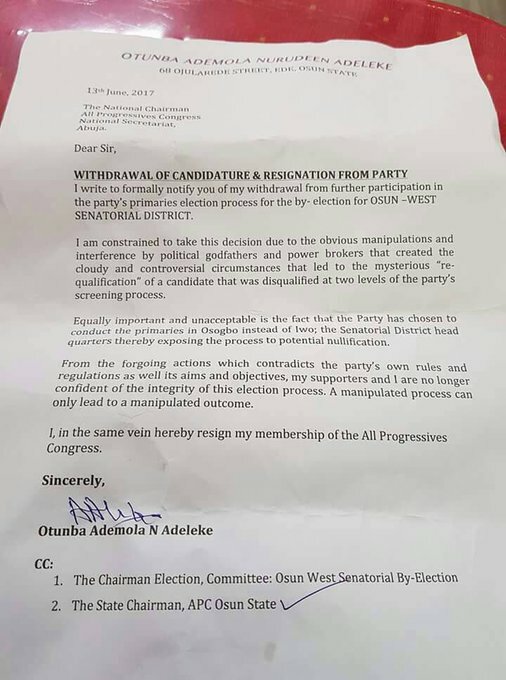 The APC aspirant in the Osun-West senatorial district, Chief Ademola Adeleke has reportedly resigned from APC and defected to the Peoples Democratic Party (PDP) to contest the July 8 senatorial by-election. Adeleke is the younger brother of Late Senator Isiaka Adeleke, the occupant of the seat before his demise. The All Progressives Congress, APC, screening committee from the national secretariat of the party for the Osun West Senatorial seat had on Monday disqualified Senator Mudashiru Husain from participating in the party primaries, replacing him with Ademola Adeleke. The chairman of the PDP in Osun state, Soji Adagunodo also confirmed the defection of Adeleke to The Punch via a text message. 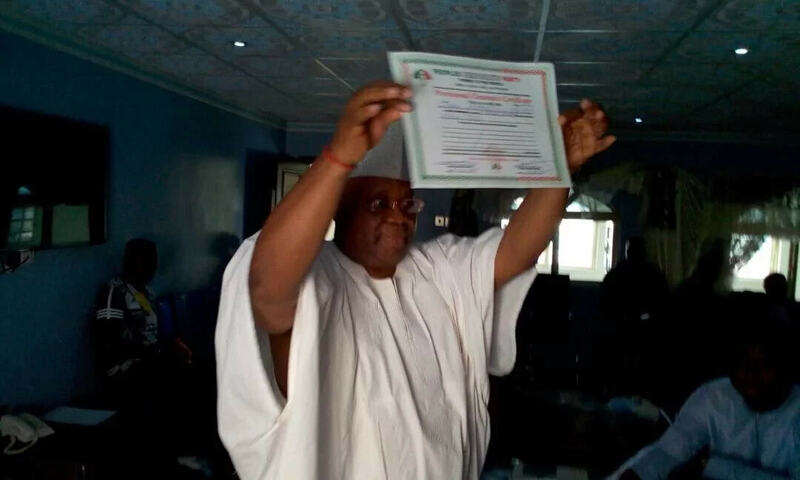 The secretary, Adeleke Support Group, Alhaji Saheed Afolabi, also confirmed that Adeleke had picked the PDP nomination form to contest the primary expected to hold today, Wednesday, June 14. “The APC screening committee disqualified Senator Mudashiru Hussain, the appeal committee disqualified him but the NWC, after an intervention by some powerful persons, manipulated the whole thing and overturned it. We know what they mean but we are also ready for them. “The entire people of the Osun-West senatorial district are solidly behind Ademola Adeleke. They cannot stop him and he is going to win this election.